Preheat a heavy-bottomed skillet over medium-high heat. For a kamado style grill like I used, that was direct heat at 350°f. I put a cast iron skillet in about 5-10 minutes before beginning to cook. Season the beef. 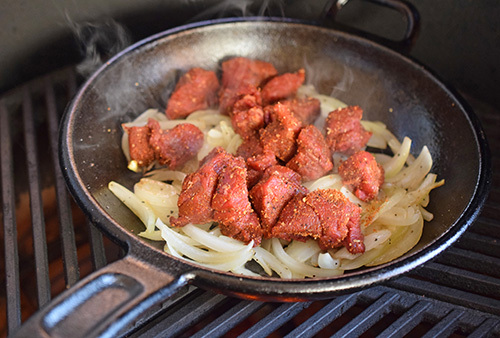 Season with the Fajita Seasoning and salt while the skillet is preheating. Saute the onions. Add tallow or oil to the skillet and allow it to heat. You'll know it's ready when you see the oil shimmers. Add the onions and season them with the lemon pepper seasoning. Allow onions to cook for 3 minutes, tossing or stirring frequently. Cook the beef. 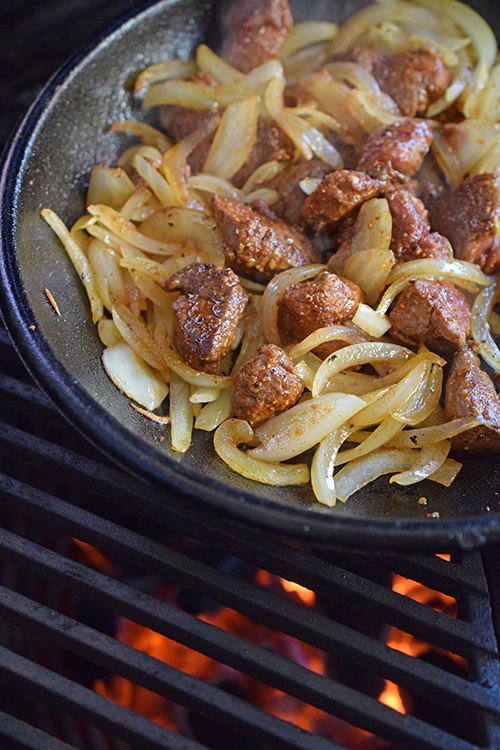 Add the beef chunks to skillet. Allow this to cook for 5 minutes, tossing or stirring frequently. 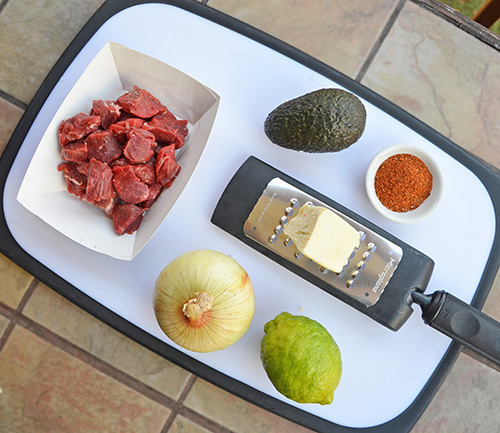 Squirt with the wedge of lime, toss or mix, and remove from the grill. Heat the tortillas. Place the tortillas in a foil packet and place in the grill for 1 minute. 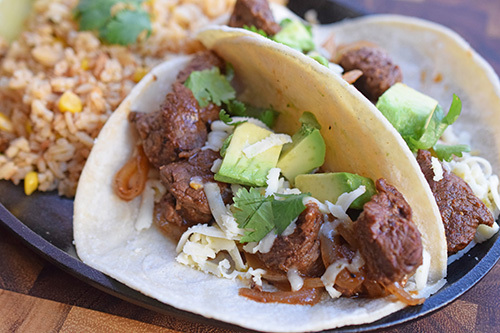 Make the tacos. 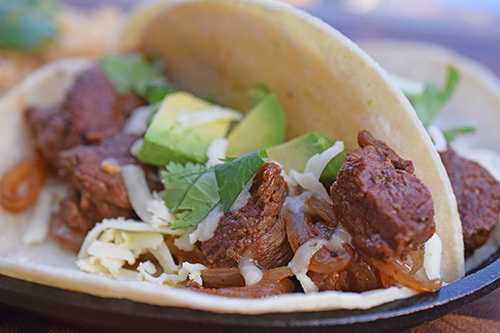 Divide the beef and onion mixture between the 4 tortillas. Top with shredded cheese, avocado, and cilantro. 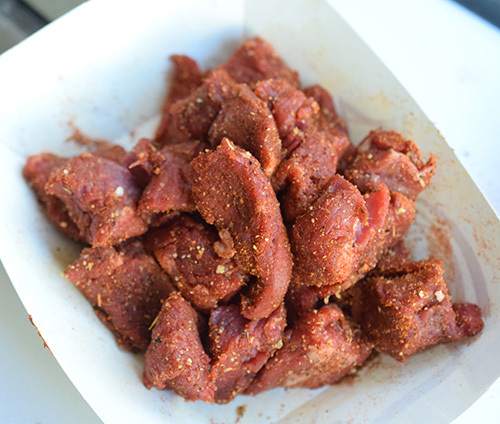 NMT Fajita Seasoning - Certified Angus Beef° brand's Tex-Mex Rub recipe should work as well. 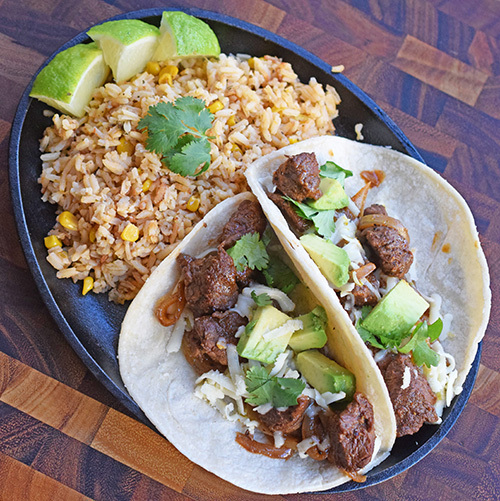 You usually don't immediately connect beef tenderloin with tacos. 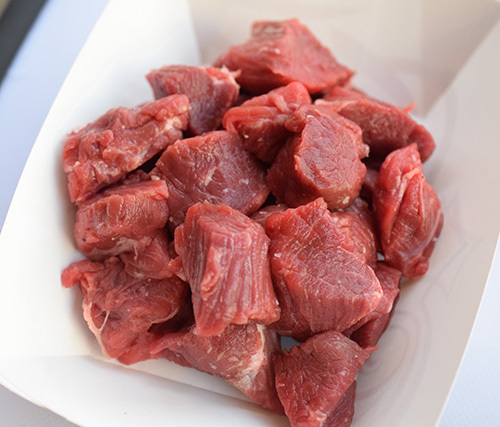 I indeed wouldn't run out and buy a couple of filets just to chop up for tacos. 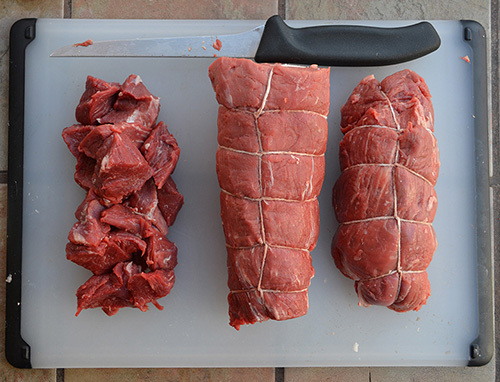 But this is a fantastic way to use the chain and scrap pieces when you trim a whole beef tenderloin. 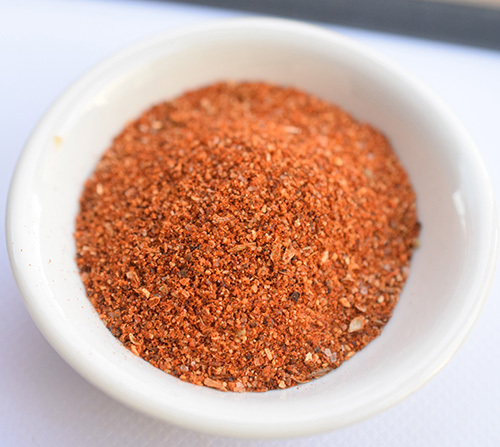 You can use a store-bought fajita seasoning, but those run a bit saltier. Skip the 1/2 teaspoon of salt until the end, when you can taste a sample. I was doing this in a hurry. If I had time to wait around, I might season the beef at least an hour before cooking. That lets it do a bit of a dry brine. If you can't season it at least an hour ahead, only season it immediately before it goes on the grill. 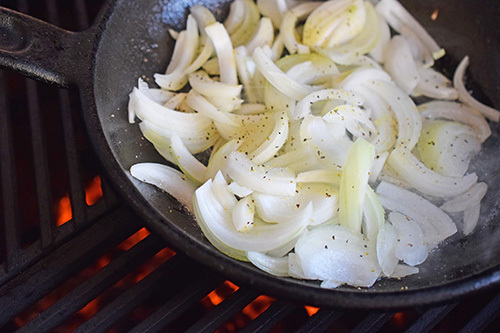 I don't think that I'll ever grow tired of the smell of onions in a hot skillet. I like this little, steep-sloped cast iron pan. The steep walls make it easy to toss the ingredients every half minute or so. This smells so good at this point. To check for doneness, I checked a few with a Thermapen, but I was really going by color and texture. It's hard to impress my son because he's always had my cooking. 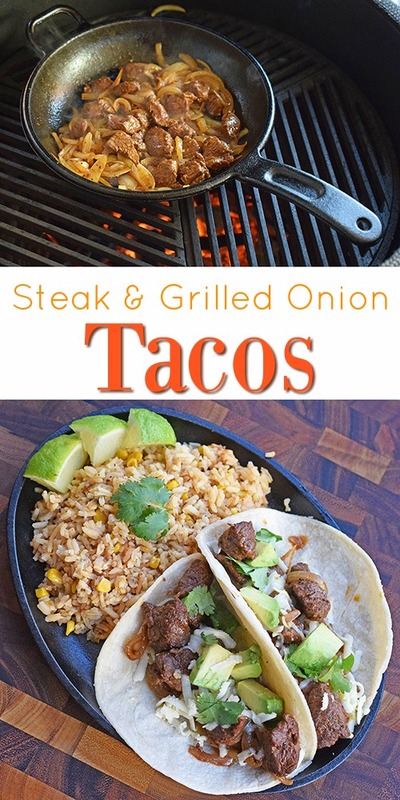 But this really hit the mark, they loved these steak and onion tacos. 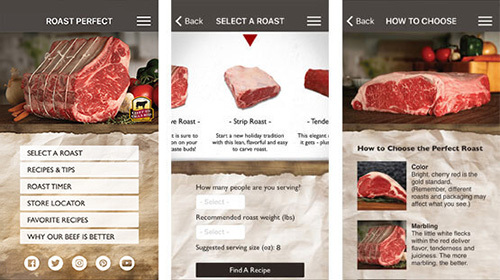 Switching gears a bit - it's time to get ready for that holiday roast, Certified Angus Beef is offering their Roast Perfect App for free in the Google Play and Apple App Store. 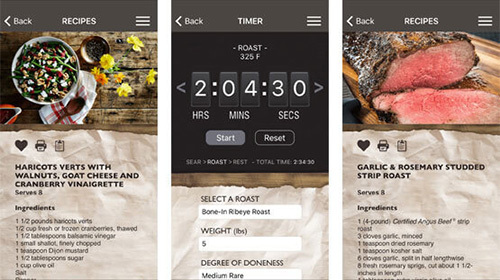 I would download your free copy now so you can start getting ideas for your special holiday roast.